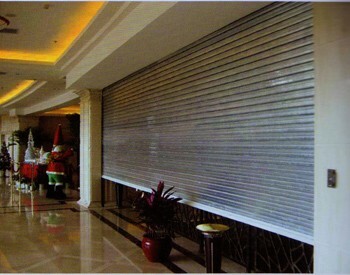 fire proof rolling door_Guangzhou OUAYNG Security and Building Material Technology Co., Ltd.
fire rated roller shutter door, rolling up door. The 3 Hour Fire Shutter is ideal for applications where there is high risk of fire or where open areas can channel the fire out of control. The Fire Shutter closes automatically when activated to prevent the fire from spreading into the adjacent area. It is commonly used for shopping malls, fire curtain dividers, supermarket entries, warehouses, office buildings and flammable storage buildings. Fire Shutters are highly recommended where flammable materials are present. Tested according to China Fire rated Material Standard. Tested by State fire building materials for Quality Supervision and Inspection Center, Methods for fire tests on building materials, components and structures, Fire resistant tests of elements of building construction. *Total door size must not exceed 20m². *Total door size must not exceed 28m². The curtain shall be manufactured using 75mm by 0.8mm thick roll-formed galvanised interlocking steel slats or 0.8mm 304# Stainless steel . Each alternative slat shall be fitted with steel end clips to form a 3 hour rating curtain. The curtain shall be manufactured using 75mm by 1.0mm thick roll-formed galvanised interlocking steel slats or 1.0mm 304# Stainless steel . Each alternative slat shall be fitted with steel end clips to form a 3 hour rating curtain. The curtain and guide channels shall be fabricated from galvanised material. All remaining components shall be given a coat of zinc rich Grey primer. 304# Stainless steel with origin Design. The bottom rail shall be manufactured using mild steel angles of not less than 40mm by 40mm and 2.5mm thick bolted to back with the last slat sandwiched between the angles. The bolts shall not be less than 8mm diameter and fixed at not less than 300mm centres. Two lifting handles shall be fitted to the bottom rail on either side of the shutter centre.